It’s true: squash is one of the less well-known racquet sports. 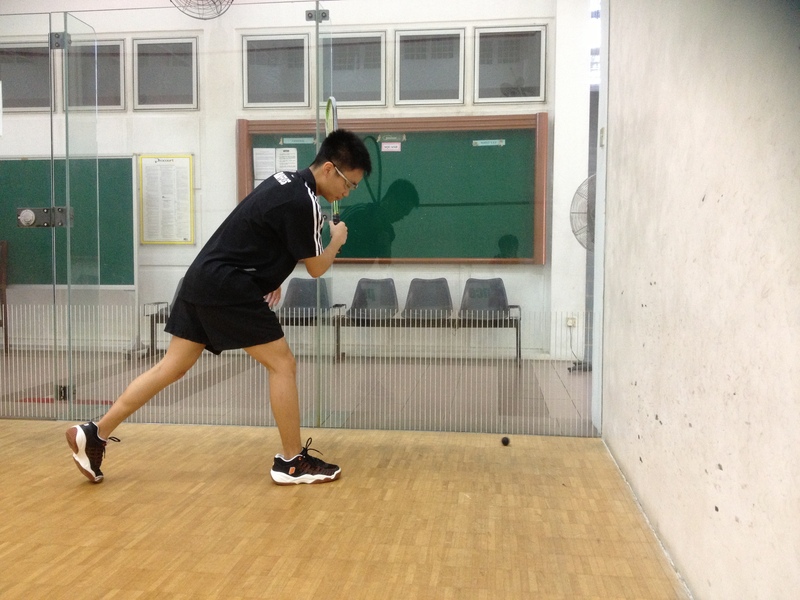 To be honest, few students know the location of RI’s well-hidden squash courts (they are behind the Albert Hong Hall at the Year 1-4 campus), and even fewer know the rules of the game. Most people prefer the graceful power of tennis swings or the rapid flicks of badminton smashes. But what about something in between? What about a sport that’s different from the ones that most people rush to join? Squash, a unique sport invented in Britain at some point in the 19th century, is played in an indoor court where the ball is free to bounce on all 4 walls, so long as it hits the front wall once. Unlike most other racquet sports, in which the ball’s trajectory does not change much, squash demands increased foresight in order to judge the small black ball’s final position. The fact that the sport is played indoors means that, rain or shine, training will go on. Players who have the privilege of playing for the school will even get to enjoy air-conditioned competition courts. 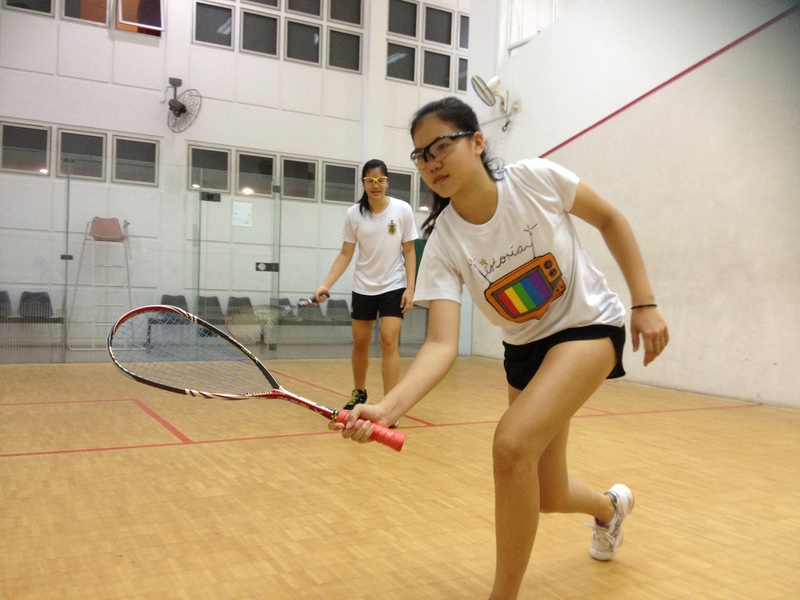 With extremely fast-paced squash matches , and with the possibility of long matches lasting 5 sets, squash demands both speed and stamina This explains why almost half of our training sessions are devoted to sprints at the track, vertical runs around the school blocks or long-distance runs at Macritchie reservoir. Tough as they are, you’ll be thankful when you’re not panting up against a wall in the middle of a challenging game. Moreover, you can kill two birds with one stone by preparing for both the shuttle run and 2.4 kilometre run components of the NAPFA test. Squash may be an unusually demanding sport, in terms of physical ability, but all the training pays off when you see yourself finally able to consistently execute those dazzling shots that keep spectators off their seats. Much like the flourish of ultimate badminton smashes, skillful nick shots are the signature shots that supporters wait for They happen when players drive the ball into corners, sending opponents rushing towards it only to find it rolling out onto the floor, with absolutely no opportunity for retrieval. Of course, there are also the straight drives, which form the foundation of each match. The more you practice this basic shot, the tighter the execution becomes, and soon, you’ll find your opponents slamming their racquets into the court walls as they desperately try to retrieve your wall-hugging returns. Unless they are as good as you are, of course. 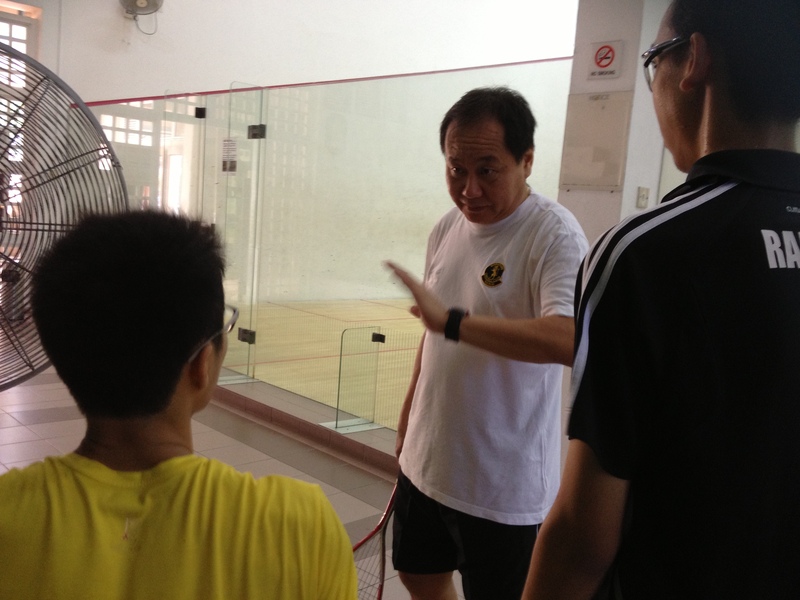 For the past few years, RI has been able to produce some of the best squash players in Singapore This has taken extraordinary passion and perseverance Our court training sessions have a basic structure. A typical session begins with warm-up drives before moving on to common drills and finally matches. Although we train roughly two or three times a week, including physical training sessions, players cannot depend on these sessions alone. It is often acknowledged that players improve most on their own, and this can be done in two ways. First, even playing by yourself is extremely easy. 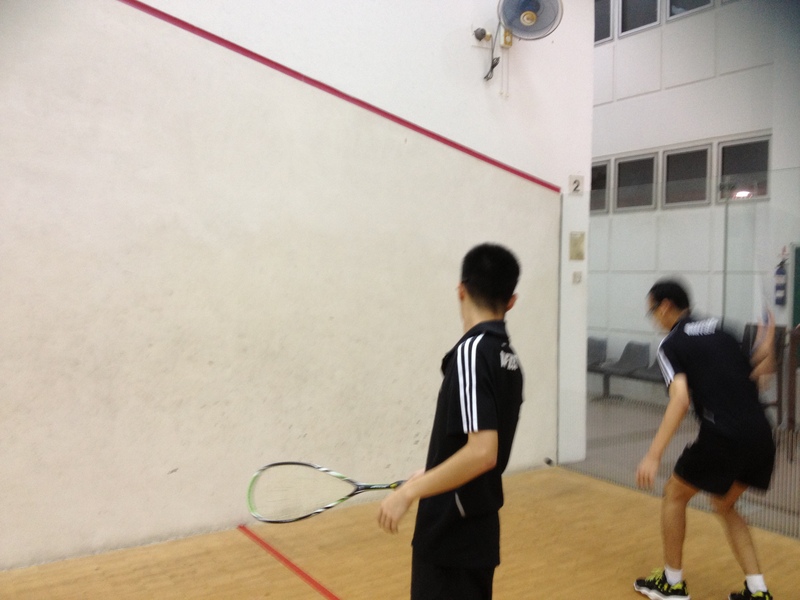 Just book a court and practice Secondly, there are many external competitions organized by the Singapore Squash Racquets Association, as well as other organisations, that players are strongly encouraged to participate in. These tournaments will build a player with invaluable match experience. 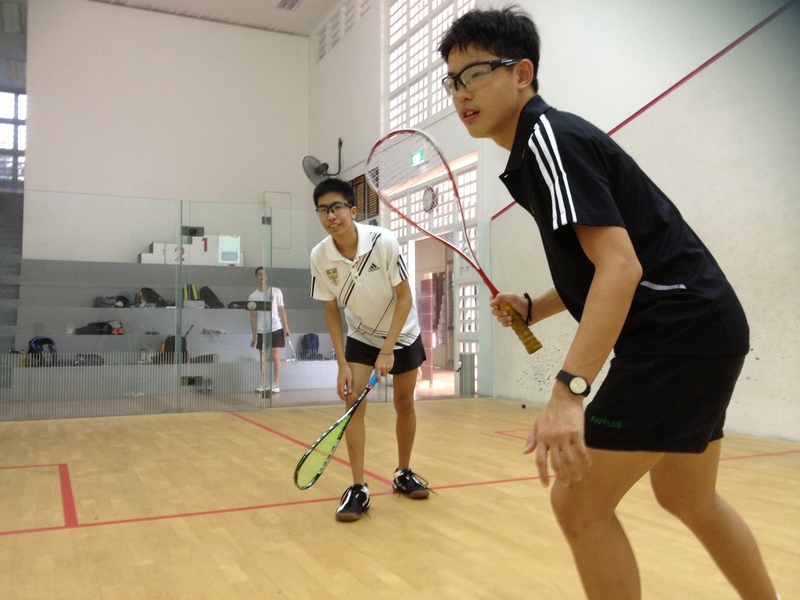 But even though much of squash training depends on the individual, we always compete as a team. Here at RI squash, we don’t win matches, we win championships, and it is the team, not the player, which clinches the gold. So if you’re interested in signing up for this unique sport, come for the squash tryouts. Raffles Modern Dance is a tightly-knit CCA that never fails to inculcate the love for dancing in its members. It has a warm atmosphere with every dancer playing a vital role in the team. It is said that good music comes from the heart – and what better way to make music than in a small group setting, where music flows from like-minded individuals who each get their moments to shine? Reblogged this on Warren Seow ☺.